Tooth loss is a serious matter. Each tooth in the mouth supports the others and also supports the functional movement of the jaw and temporomandibular joints. When a tooth is lost and not replaced, surrounding teeth may shift. Opposing teeth, as well, may shift up or down into the empty space. Furthermore, the force of biting and chewing becomes imbalanced when a tooth is missing, exerting more stress onto remaining teeth and potentially causing them to wear down more quickly than they would otherwise. We offer dental bridge treatment as a reliable restoration for missing teeth. A dental bridge is a fixed structure customized to look like natural teeth. This restoration may have one or more artificial teeth and will have a crown at each end. Crowns affix to natural teeth outside of the empty space to anchor artificial teeth in place. What issues can dental bridges fix? Dental bridge treatment is appropriate for many people who have lost one to three consecutive teeth. It is necessary for us to confirm good general and oral health. Gum disease can pose a challenge to the long-term benefits of bridge treatment. If a patient has gum disease, we will conduct treatment to bring this under control before moving forward with bridge fabrication. Because a bridge needs to be anchored securely, it is necessary to have natural teeth that are healthy and strong on each side of the bridge. If an implant-supported bridge is preferred, we will perform a thorough examination to confirm adequate bone density to accept the small implant posts and support the larger restoration. Is the Tooth Bridge Procedure Painful? Getting a dental bridge is comfortable even if we need to repair or extract a tooth or teeth. Restorative treatments are performed with a local anesthetic to numb the gums and cheeks before commencing with any modification to structure. 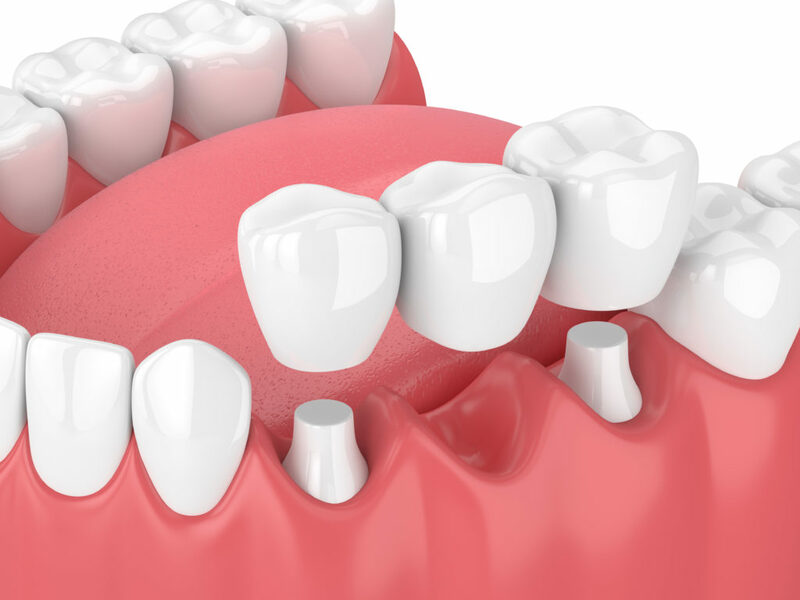 A local anesthetic is also used in the bridge process even if extractions and repairs are not needed because it is necessary to alter the teeth that will hold the bridge in place via custom-fit crowns. Once relevant teeth are reduced for their crowns, the remainder of bridge treatment focuses on impressions and fittings. First, we take an impression of the area to create a model of teeth shape, size, and position. This model is interpreted in the dental lab and transformed into a lifelike restoration that fits perfectly into the oral structure. Once the final product is returned to our office, we remove the temporary bridge or crowns that have been installed and insert the new bridge. This can typically be conducted without the need for numbing medication. The need for additional procedures such as root canal or fillings. Contribution from dental insurance, if any. The extent of preparation needed to support the bridge. The type of material selected for artificial teeth and crowns. 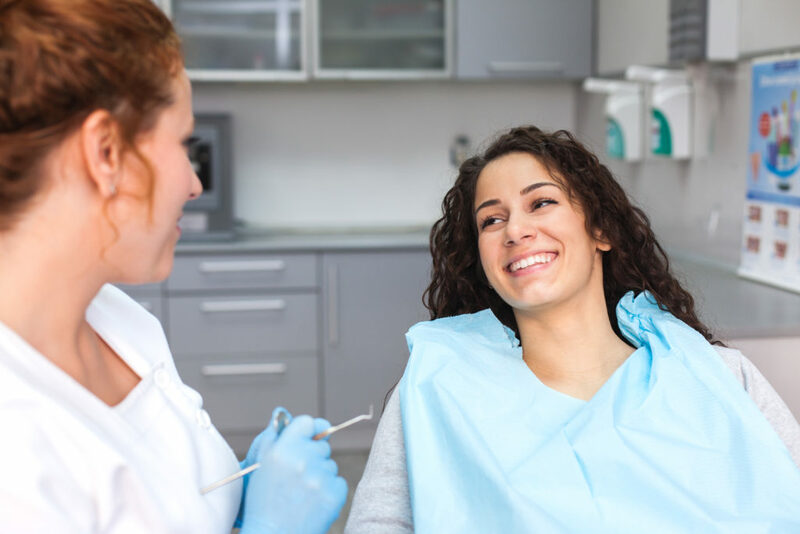 We discuss treatment details in-depth with each patient and are available to answer any questions related to the cost of the dental bridge procedure and potential insurance coverage for care. Dental bridge treatment is beneficial for a number of reasons, but may not be ideal for every person. Alternative options include an implant supported bridge for multiple missing teeth, a dental implant, and crown for a single restoration, or a partial denture, which clasps to natural surrounding teeth for temporary stabilization. If you think you may need a dental bridge, call 212.758.9690 to schedule a consultation with Prosthodontics of New York. Our practice serves Manhattan, New York City and surrounding areas.